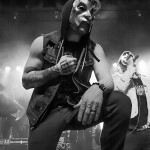 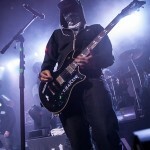 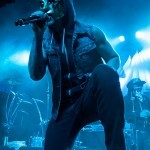 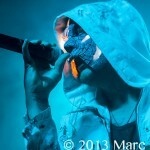 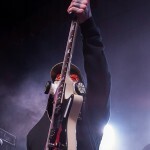 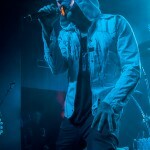 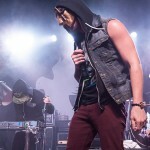 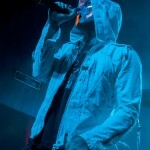 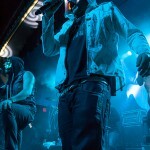 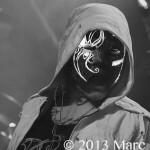 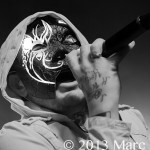 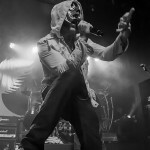 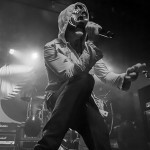 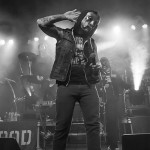 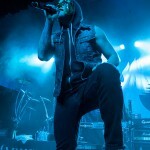 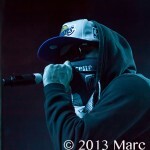 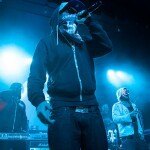 Hollywood Undead played to a sold out crowd at St. Andrews Hall in Detroit Michigan last night and with no opening act the stage was set for the undead to come alive. 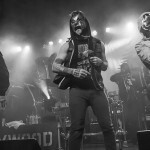 The venue filled with all ages, some who had been in line since the early morning to get that front row spot against the barricade. 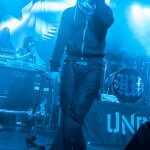 With the release of their new album “Notes From The Underground” just days before the show, H.U. 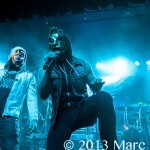 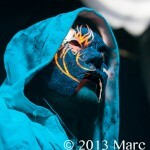 fans were ready and pumped for the bands latest look and new sound. 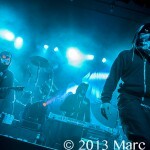 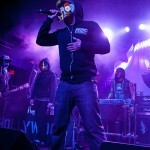 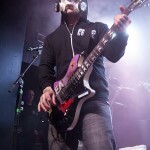 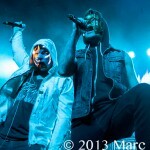 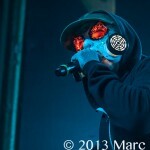 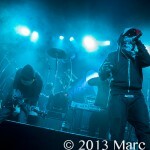 Sporting their new masks Charlie Scene, Da Kurlzz, Danny, Funny Man, J-Dog, and Johnny 3 Tears hit the stage and rocked our faces off! 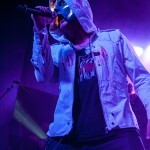 The band started off with “Undead”, followed by some of their older hits “Tendencies”, “Been To Hell”, “Comin’ In Hot”, “Bullet” and “My Town” as well as introducing songs from the new album like “Dead Bite”, “Another Way Out” & “We Are”. 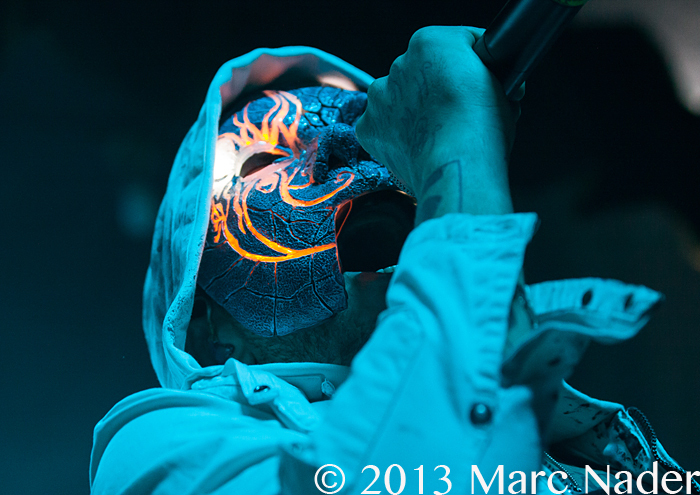 The capacity crowd never got lost in the show; they only became a part of it. 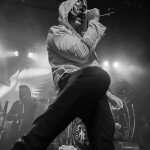 The band felt this energy and feed from it; as “Funny Man” leaped into the crowd and had his shoes ripped from his feet during his surf, you could feel the sense of accomplishment this band has achieved since they hit the scene just 4 years ago. 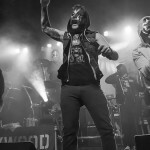 Having seen Hollywood Undead in an open setting at the Rock USA Festival in Wisconsin last summer had no comparison to rockin’ it with these guys in a smaller venue like St. Andrews Hall. 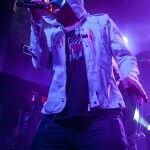 The show filled up everyone’s expectations and more, my suggestion is to get out and see Hollywood Undead if they come to a town near you. 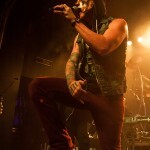 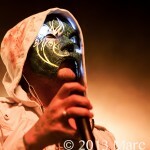 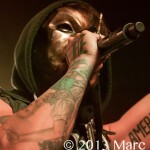 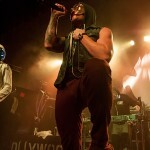 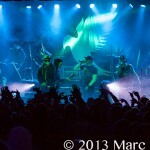 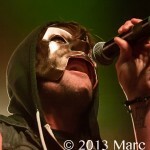 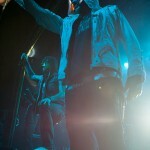 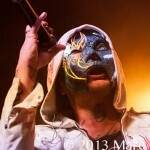 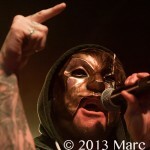 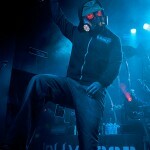 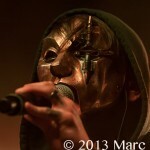 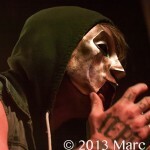 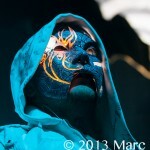 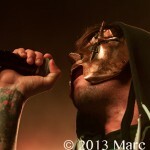 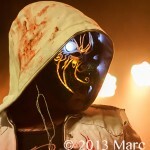 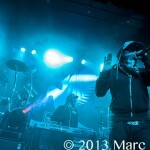 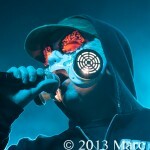 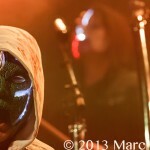 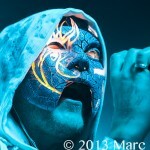 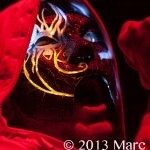 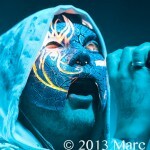 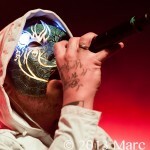 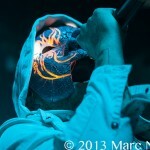 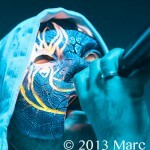 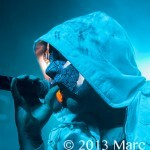 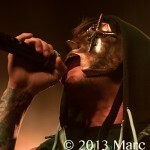 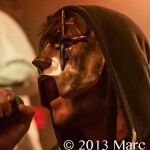 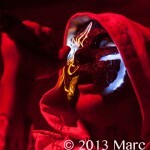 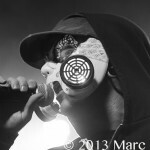 Live rock shows feed voids and the Hollywood Undead knows how to fill them!